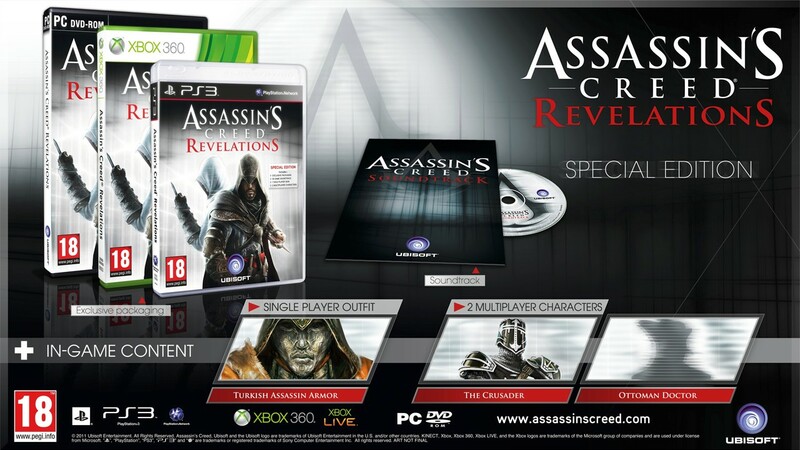 Some new screenshots have been released for Assasin's Creed Revelations along side some other news. For those who are struggling to wait for the finale of Ezios story, it is worth venturing to a book store, or purchasing an e-book called Assassins Creed: The Secret Crusade. The book follows the path of Assassins Creed 1, but then continues on with Altairs story. Ultimately, it gives further insight into why Ezio is on his way to Constantinople. .An Artbook featuring 50 pages of illustrations and concept art related to the game. .Explore the prison of legendary Vlad the Impaler, the scourge of Constantinople who inspired the myth of Dracula. Seek out the hanging cell of the infamous leader to retrieve his personal blade, a deadly close quarters dagger capable of dispatching any foe. .Play as two additional multiplayer characters: The Crusader & a new Harlequin revamped with a Constantinople flavour: the Ottoman Jester. 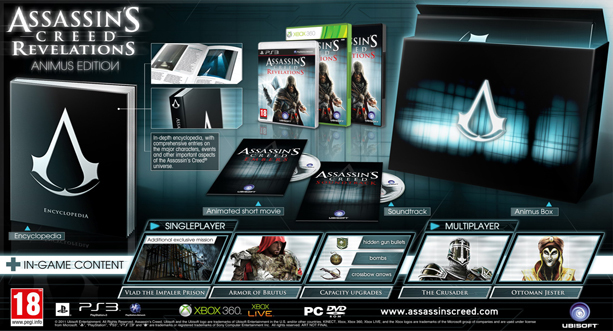 .In-depth encyclopedia, with comprehensive entries on the major characters, events and other important aspects of the Assassin's Creed universe. .Capacity upgrades for your hidden gun bullets, bombs & crossbow arrows to give you a decisive advantage in battle. .Play as two additional multiplayer characters: The Crusader & a character from Assassin's Creed Brotherhood revamped with a Constantinople flavour: the Ottoman Jester. 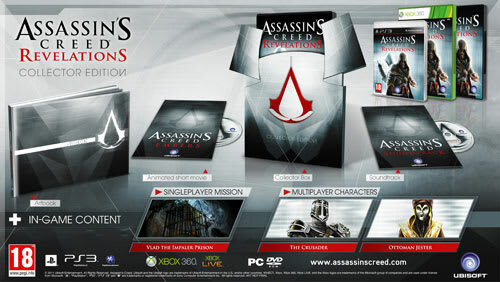 Assasin's Creed Revelations is released in just over 100 days, on the 15th of November.